Syllabus of the Online Course (Subject): United States Economy. 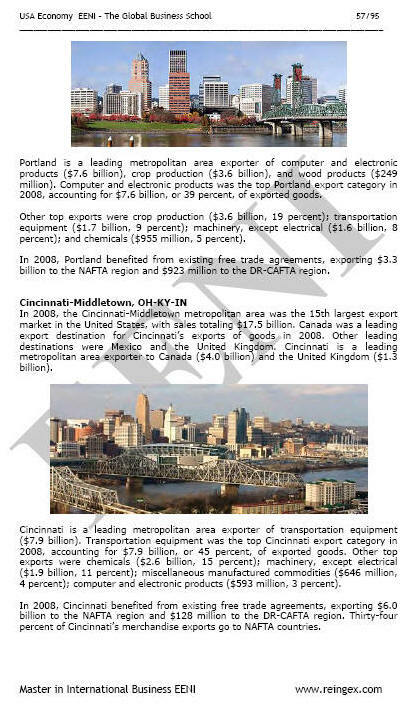 product and service exports. The United States of America is the largest and most technologically powerful economy in the World. Main religions in the U.S. 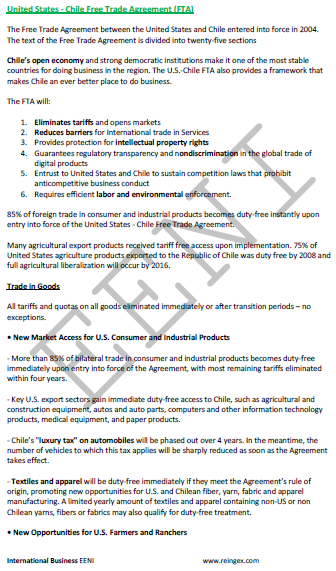 The United States has Free Trade Agreements in force with twenty-one countries: Australia, Bahrain, Canada Mexico (NAFTA), Chile, Colombia, Costa Rica, the Dominican Republic, El Salvador, Guatemala, Honduras, Israel, Jordan, Korea, Morocco, Nicaragua, Oman, Panama, Peru, and Singapore. In 2012, the former President Obama signed International Trade Agreements with Korea, Colombia, and Panama. 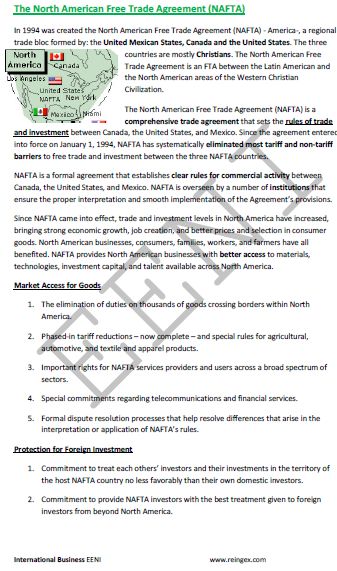 The United States is also in negotiations the Trans-Pacific Partnership Agreement.